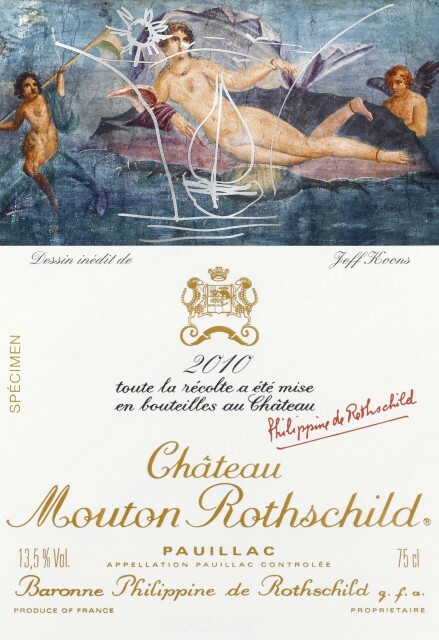 American neo-pop artist Jeff Koons has designed the 2010 label of Pauillac first growth Château Mouton Rothschild. Koons is the latest in a long line of artists to create an original work for the château, which has commissioned avant-garde artists to design its labels since 1945. Owner and long time art lover Baroness Philippine de Rothschild commissioned the Pennsylvania-born sculptor to create the label. In his design, Koons works over a Pompeii fresco of The Birth of Venus with a silver line drawing of a ship sailing under a bright sun. Influenced by both Marcel Duchamp and Andy Warhol, Koons combines the Pop Art tradition with the kitsch aesthetic, transforming familiar objects with a wide variety of techniques. The much-lauded 2010 vintage in Bordeaux was a dry and relatively cool year, with an ideal amount of sunshine. According to the château, the favourable conditions led to small, rich, naturally concentrated grapes both high in colour and natural acidity, with length, elegance and harmony being the hallmarks of the vintage. 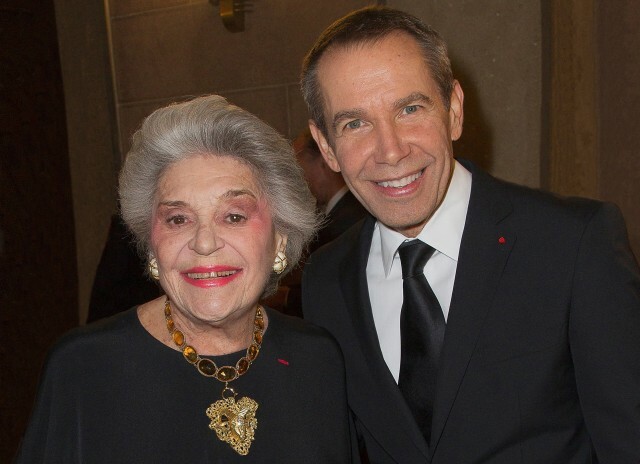 A former commodities broker, for a time Koons was the world’s most expensive living artist. Among his best-known works are his balloon dog sculptures made of coloured stainless steel with mirrored surfaces. In 1997, his Puppy, a giant dog covered in bright flowers, was installed at the entrance to the Guggenheim Museum in Bilbao where it still stands to this day. In 2008, an exhibition of 17 of his works appeared at the Château de Versailles. Among the other artists to have created a label for Mouton Rothschild are Pablo Picasso, Salvador Dalí, Georges Braque, Juan Miró, Andy Warhol, Francis Bacon and Lucien Freud.